Jim Blatzer, received his Bachelor’s in Physician Assistant degree from Midwestern in Downer’s Grove, IL . Jim is married and has three sons. Jim is certified through NCCPA and is a certified examiner for the NRCME. 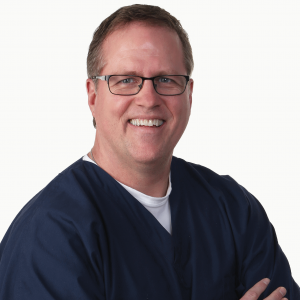 Jim has an extensive background in both urgent care and occupational medicine. Jim excels in formulating treatment plans with various therapies for numerous pains including back and neck pain, musculo-skeletal disorders, extremity pain and chronic soft tissue pain. Jim is extremely passionate, outgoing and takes the time to truly understand what each patient is experiencing upon arrival at our clinic. Jim’s diverse background gives him the ability to approach patient care from multiple perspectives. Due to HIPAA regulations, we cannot answer specific questions about a patient's health via email. If your question involves your health or the health of a family member, please call us at 217.351.3116. The 217 Immediate Care Medical team is dedicated to providing the highest quality of care for your entire family, delivered with compassion and medical excellence. These values are integral to our philosophy of care and expressed in our behavior, our attitude, and our approach to your care. At 217 Immediate Care, our passionate commitment to enriching the health of our friends, neighbors, children and employees is reflected in everything we do. Our overall goal is a healthy, happy community and CHOICE, which is why we welcome every opportunity to partner with local health care providers, physicians and hospitals. We will always work to achieve the best possible care and network with both primary care physicians and specialists in the medical community to ensure each patient experiences a superior standard of care. Our driving question is always “What is right for our patient?” because we want for you what we would want for ourselves and our families.